Google Stadia gaming platform was revealed yesterday to a crowd in San Francisco with a lot of hype and fanfare. Phil Harrison, who has formerly worked with both Xbox and Sony gaming platforms, is now the lead person on Google’s gaming team. The Game Developers Conference was full of anticipation as Harrison explained the performance capabilities of the newest addition to Google products. The Stadia service will have the ability to link all the ways people currently play their games through a single streaming service. According to a report from Kotaku, Harrison said “this new generation of gaming is not a box.” It will eliminate the need for a console or PC on the user’s end. Instead, with the platform running entirely on a streaming server, Google plans to offer Stadia directly through users’ TV via Chromecast. The Stadia gaming platform will also work on notebooks, tablets, phones, and PCs. In spite of all the information released, the Google Stadia price point has not yet been disclosed. All of the games will be hosted on server computers located throughout the world. This means that a user will no longer need a high end gaming PC or console to enjoy resource consuming games. AMD, one of the leaders in PC hardware manufacturing, has linked with Google to launch the Stadia gaming platform, and together the companies believe they can offer gaming in 4k definition at 60 fps at the initial launch. There is no word yet on what Google intends to set the Stadia price point at, but the promise of high definition gaming has users attention. The high powered servers that will power the gaming service will have custom GPUs designed by AMD specifically for Google Stadia. These provide the extremely crisp graphics and fast paced game play for the user. If this actually works the way Google says it will, then anyone with a graphics card capable of watching a movie will be able to enjoy the Stadia game platform at a lower price point than the cost of a high end PC. How Will The Connection Work? It is obvious that a truly high speed Internet connection will be required to play the games at this definition, but just how fast will it have to be? A public relations representative from Google revealed that when the tech giant tested out its Project Stream last fall Internet speeds of 25 megabits per second yielded users the ability to play games in 1080p at 60fps. The company expects the Stadia gaming platform to be able to deliver 4k definition at 60fps on approximately the same speed. This means that Google Stadia comes at a price to the end user – those with slower Internet connection speeds will have to upgrade. Google says users will be able to play games from their PC, Mac, tablets, and phone. 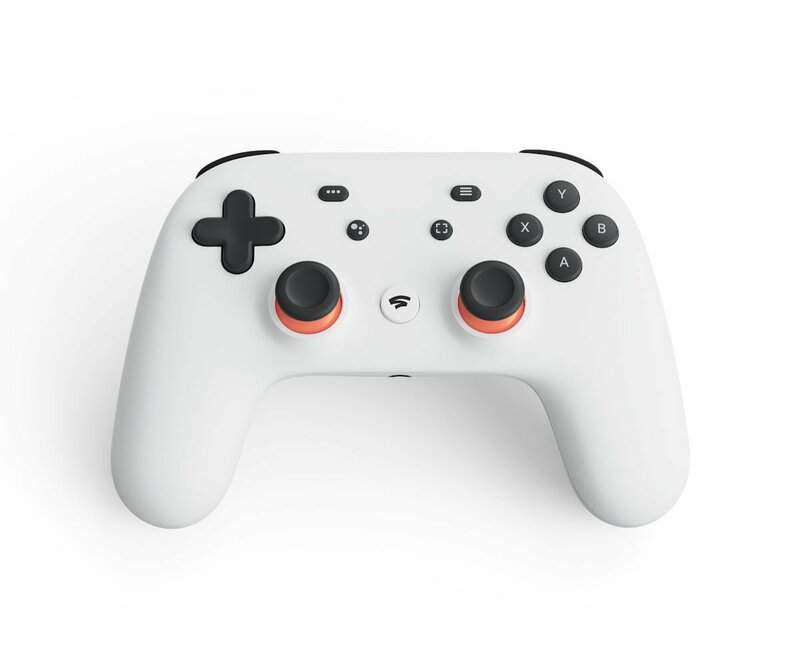 Perhaps the biggest game-changer is that the Stadia gaming platform will also allow users to play directly from their TV by using a Google Chromecast and a special controller. We reported yesterday that the Stadia launch was coming, but Google had not yet disclosed how Stadia would price and market games. The big question surrounding the service for end users is how much it will cost. In a report from Gizmodo we learned that Google Stadia gaming will have a few competitors in the game streaming market, including both of Phil Harrison’s former employers. Sony Playstation Now currently offers a streaming service that allows users to play more than 750 games online for a fee of $20 per month. Nvidia also offers an online gaming platform called GeForce Now, which is still in beta testing. GeForce Now allows users to stream games to a Mac, PC or Nvidia Shield device. Microsoft now offers users the ability to stream PC games directly to their Xbox One, which gives them a leg up on Sony and other console game makers. But, will console gaming companies be able to keep up with services like Google Stadia, which claim to allow high definition gaming at up to 160 frames per second? Perhaps the biggest question Google faces now is how much to charge for gaming on Stadia. There was a lot of talk yesterday from several executives, including Google’s CEO Sundar Pichai, of how impressive the service would be and what users could expect. However, in spite of all the talk, there was little to no information regarding what Google Stadia price points will be. It wasn’t made clear as to whether users would pay for games by title, or if it would be a monthly subscription service similar to Netflix. No doubt more information will come out in the next few days surrounding this fascinating new platform, and we will keep you updated as it does.